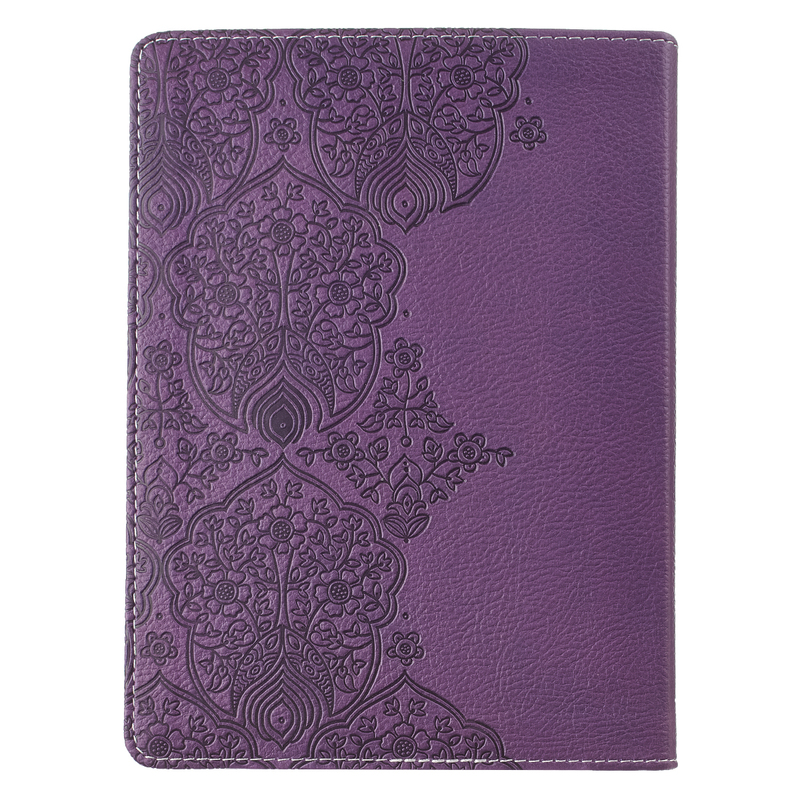 Plush and luxurious, this journal is an extra special way to keep your thoughts, plans, and memories safe each day. 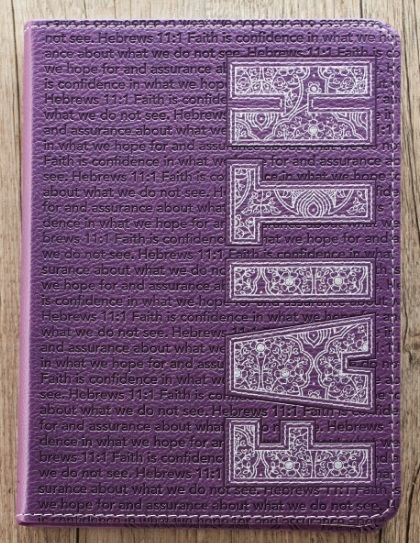 The Purple "Faith" Journal is a lovely composition of debossed Scripture and silk-screened text. 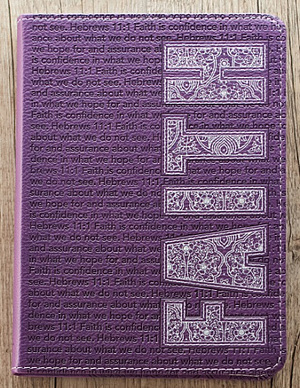 The screen-printed artwork is repeated on the back cover in an intricate debossed design. The journal is covered in quality man-made material that has the look and feel of real leather (trade name LuxLeather). 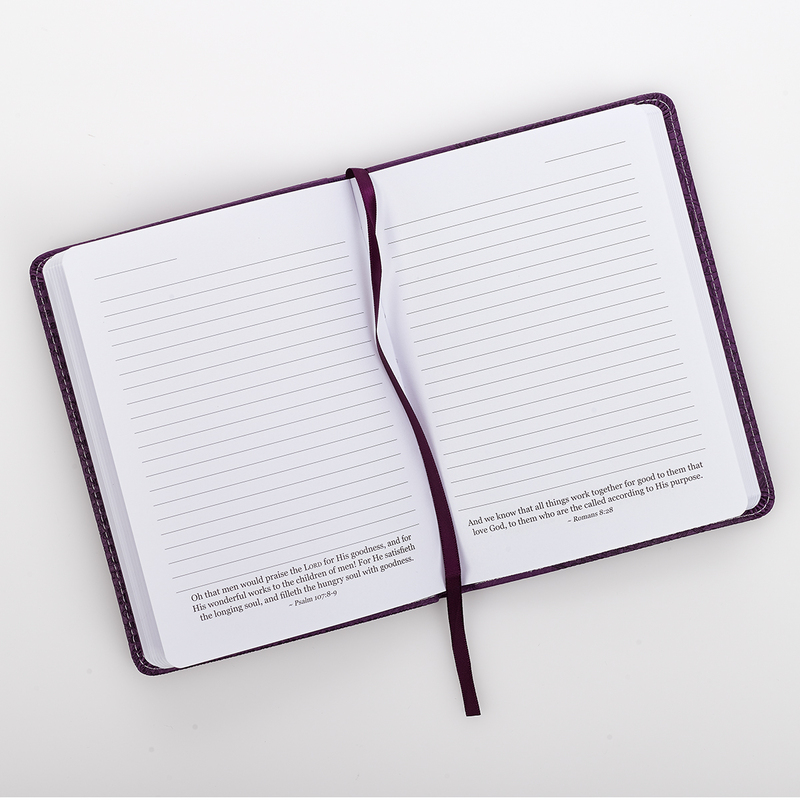 The journal has a lay-flat spine and an attached ribbon page marker. 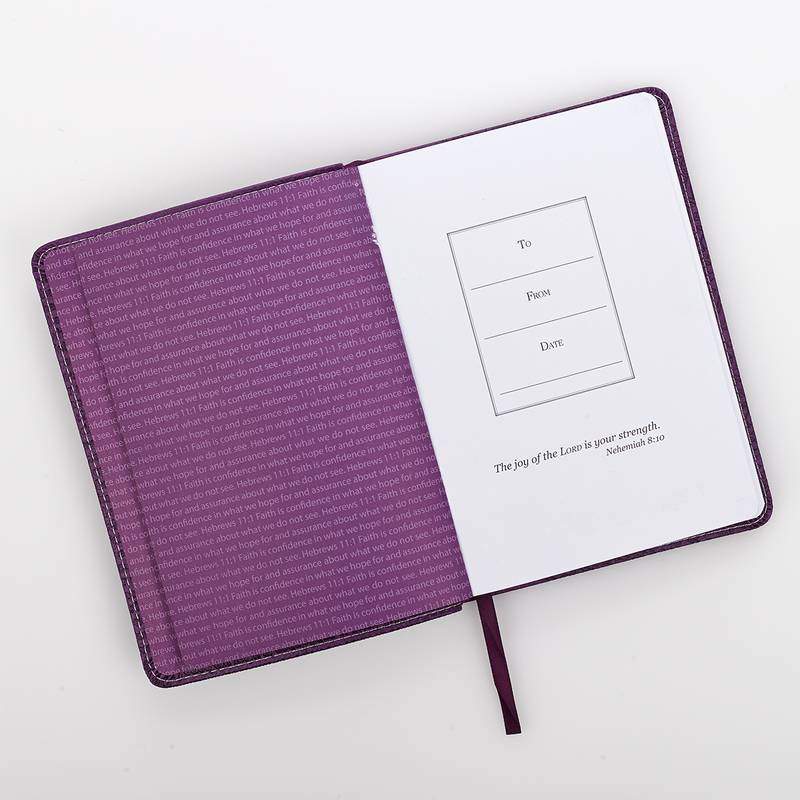 These writing journals are perfect for gift-giving, with a presentation page in the front. Each page carries an inspirational passage. 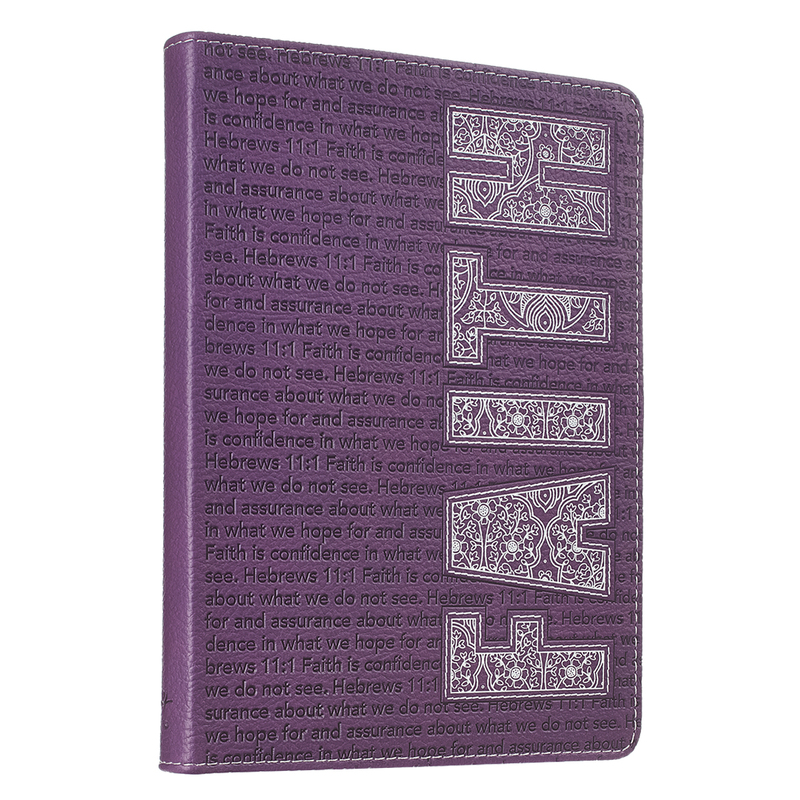 Faith Luxury Journal by Christian Art Gift was published by Christian Art Gifts in September 2016 and is our 5590th best seller. The ISBN for Faith Luxury Journal is 9781432113124. 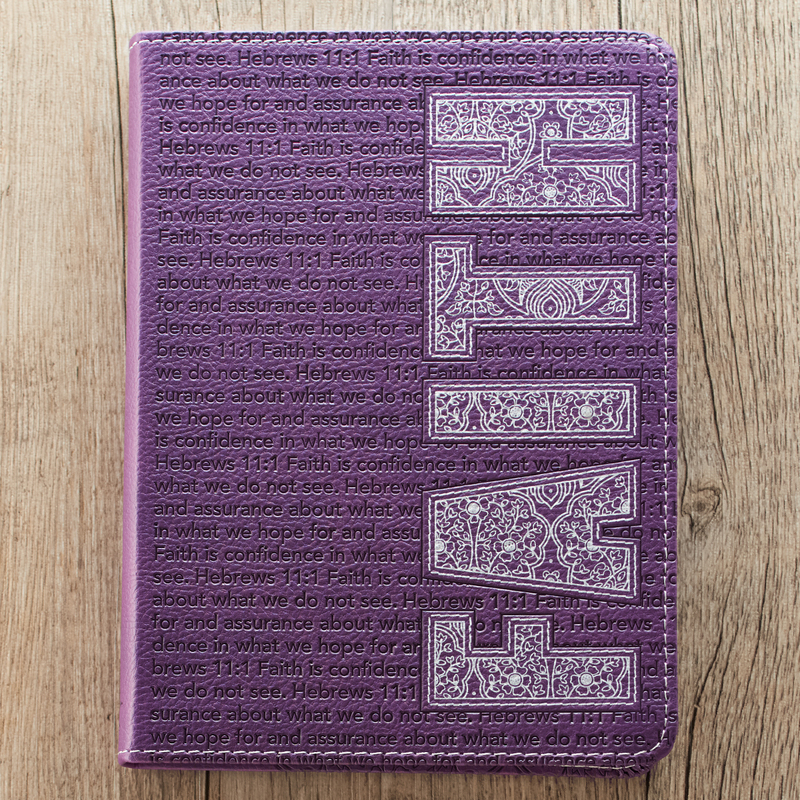 Be the first to review Faith Luxury Journal! Got a question? No problem! Just click here to ask us about Faith Luxury Journal.